The Us EPA and DOE have released an updated list of the top 10 most fuel efficient cars in the US automotive market in 2014. This list was not intended to be a list of the most fuel efficient electric cars, but that is what it ended up becoming. All 10 cars below are plut-in vehicles. 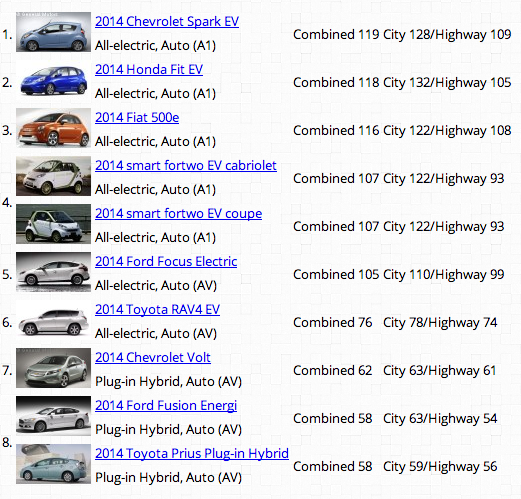 The first 7 are 100% electric, and the last 3 are plug-in hybrid electric cars.